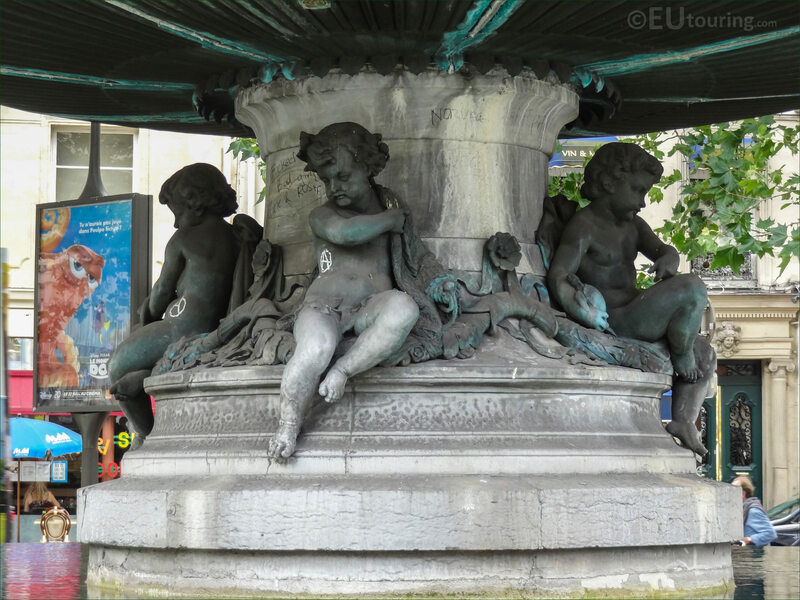 We were in the 1st Arrondissement of Paris when we took these high definition photos showing the Ronde d'Enfants on the Fontaine du Theatre-Francais called the Nymphe Marine, which were sculpted by Louis Adolphe Eudes. 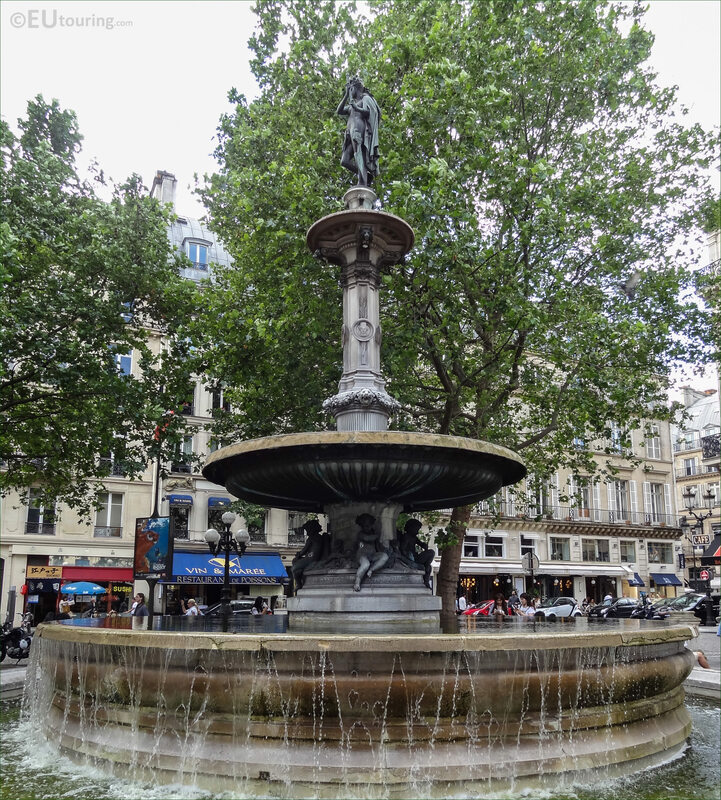 It was during the redevelopment of Paris by Baron Haussmann that many ornate features were put in place including different fountains, and this first HD photo shows the lower section depicting young children on one of the two fountains called the Fontaines du Theatre-Francais, with this particular one being called the Nymphe Marine. 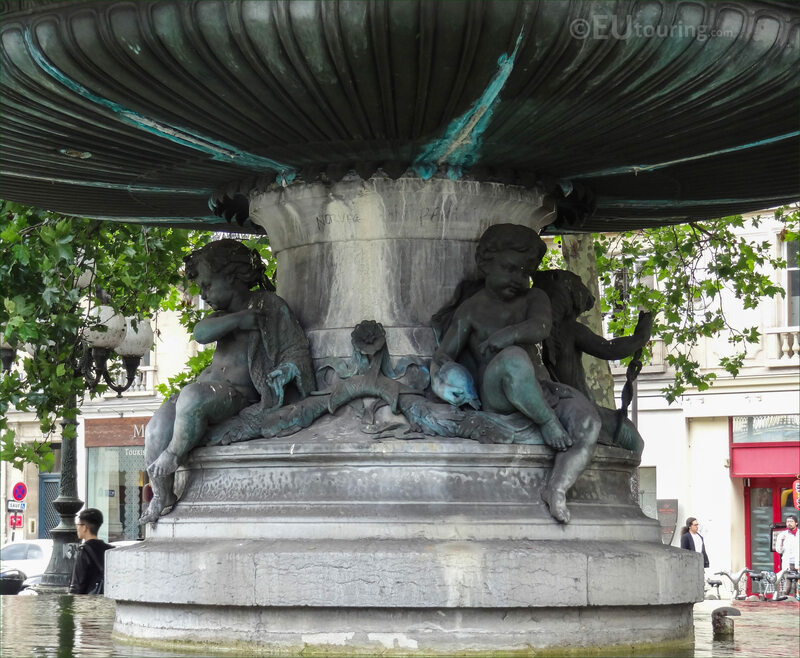 So here you can see a close up photograph showing two infants or young children that go round the lower level of the Fountain of the French Theatre, which are called the Ronde d'Enfants in French, and these particular ones were sculpted by Louis Adolphe Eudes. Louis Adolphe Eudes was born in 1818 and studied to become a French sculptor under David d'Angers, present his first works at the 1847 Salon for French artists, and from there started to receive many different commissions for tourist attractions including the Round of Children on this fountain and several for the Palais du Louvre. 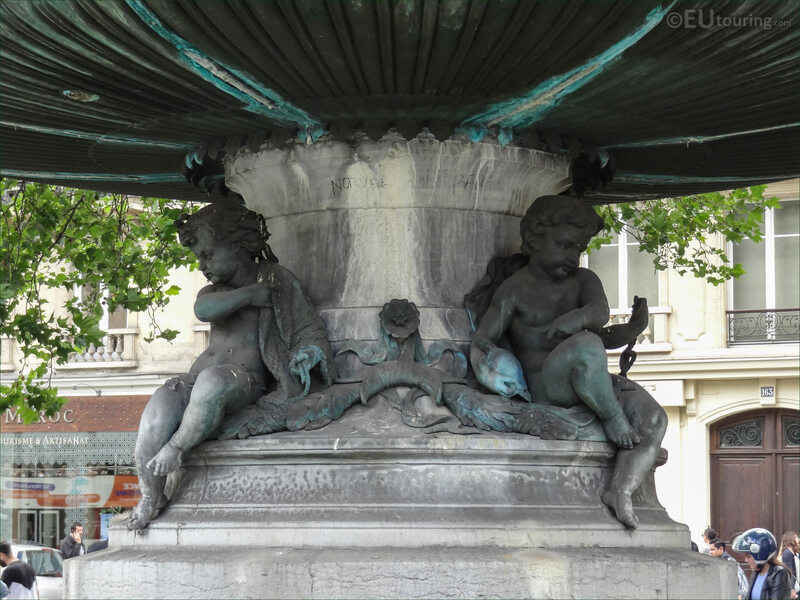 And these Ronde d'Enfants were sculpted in bronze for the Fontaines du Theatre-Francais, that were produced between the years of 1867 and 1874, although the top section of this fountain and the other fountain were all produced by different sculptors. Now we said that there are actually two fountains and both of these were designed by Gabriel Davioud who was born in 1823 and became a chief architect for the City of Paris, designing numerous fountains and buildings, including tourist attractions such as the Place du Chatelet with its theatres and fountain and the Fontaine Saint-Michel. 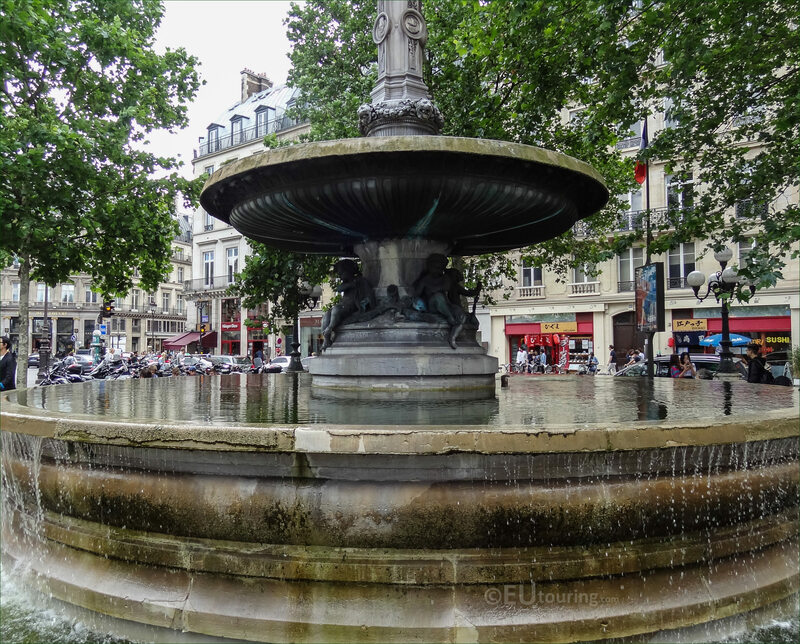 Yet these two fountains are positioned on the Place Andre-Malraux in the 1st Arrondissement, and this particular Fontaine du Theatre-Francaise Nymphe Marine is the located closest to the Rue Saint Honore and the Avenue de l'Opera.